Guess The Song – Music Quiz is a free music quiz game app for Windows 8 and 8.1 devices. When you install and run the app on your device, you will be presented with a screen which allows you to start the quiz itself. This can be accomplished easily by clicking on the play button at the center of the screen. 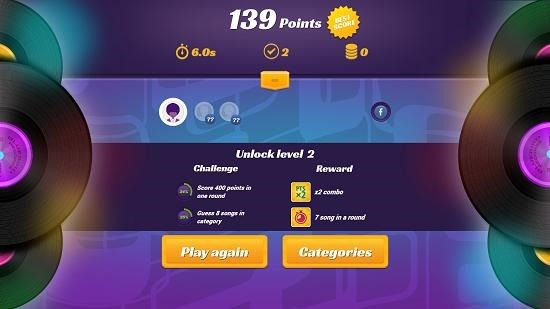 When you have done so, you will be able to see a category selection screen from where you can click on the appropriate category for which you wish to play the game. 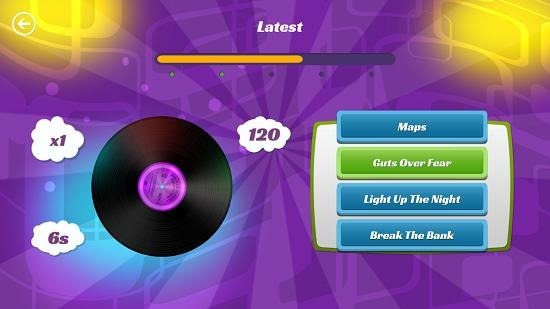 Once you have selected your category, you’ll be able to enter the gameplay mode itself where you will be able to guess the song that is played to you by clicking on the correct choice of the option from the listed options. Guess The Song – Music Quiz is available for free from the Windows App Store. When you run the game on your device, you will be presented with the below screen. In the above screen, you can see that the gameplay can be directly started off by clicking on the Play button at the center of the screen. Once you have clicked on the same, you will be presented with the category selection screen which looks like the screenshot below. 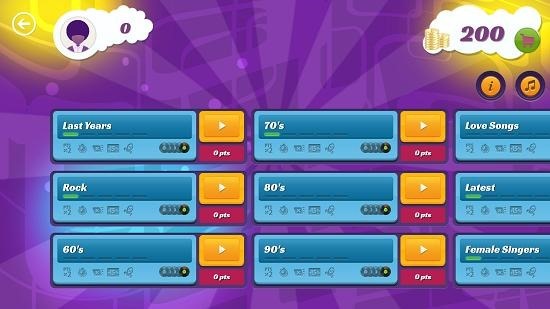 Just click on the Play button in front of the category which you wish to play, and the gameplay screen will open up on your screen almost instantly. You can see a screenshot of the same attached below. You can see the list of options displayed at the right side of the screen. To make a guess, simply click on the correct option before the timer at the top of the screen fills up. If you guess correctly, the option will turn green. At the end of a level, you will be shown your statistics. This winds up the main features of Guess The Song – Music Quiz for Windows 8 and 8.1. 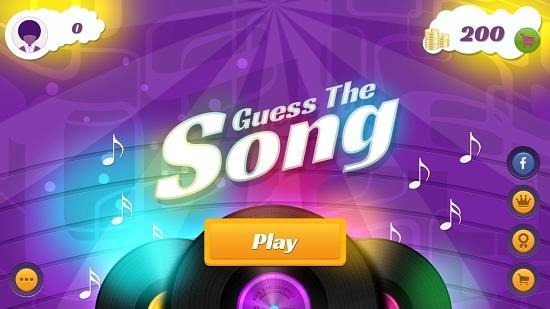 Guess The Song- Music Quiz is a well designed quiz game app for die hard music fans out there. You can grab it for free from the link below. Get Guess The Song – Music Quiz.